In the aftershock of the September 11, 2001 attacks that cost 3,000 lives, many Americans recognized an urgent need to know more about the Middle East, the region from which the attackers originated. Unfortunately, many school systems seeking help in developing curricula to teach about the region and its conflicts turned to academics who have produced biased and inaccurate instructional material that misinforms students. Nowhere is this more evident than in the handling of the Arab-Israeli conflict. The basic history of the conflict was once widely understood. Jews returning to their historic homeland encountered opposition from Arabs, who claimed the entire land as their own. The British, who administered the disputed land on behalf of the League of Nations and United Nations, abdicated their authority. 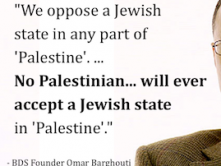 The United Nations then proposed a two -state solution in 1947, comprising a Jewish state and an Arab state. The Jews accepted the compromise; the Arabs rejected it and attacked the newly declared Jewish state. The Jews prevailed and many Arabs living within the boundaries of the Jewish state fled to surrounding Arab states. These Arab states refused to assimilate and resettle them and the Palestinian Arab refugee problem was born. Weighing what he considers Arab indigenous rights against ancient Jewish ties and the longing to return, Gelvin sides with the Arabs. He writes, “there is a big difference between remembering Jerusalem and undertaking the wholesale settlement activities in Palestine and eventually lodging a demand for Jewish self-determination in Palestine.”8 In other words, the Jews have over-reached. Gelvin clearly rejects the traditional view, grounded in a history that pre-dates the 20th century Arab identification as Palestinians, that the Jews are the indigenous inhabitants restoring their ancient nation-state. Drawing heavily upon the work of a group of controversial Israeli historians known as the “New Historians,” Gelvin’s recounting of events during the crucial years of 1947-1949 is undermined by his failure to recognize that the “New Historians” account has been largely debunked. University of London Professor Efraim Karsh exposed the “deliberate misrepresentation” of Israel’s founding history in two books, Fabricating Israeli History: The New Historians (published by Frank Cass, 1997) and Palestine Betrayed (published by Yale University Press, 2010). After carefully examining the original meeting notes of the Jewish Executive Agency (during the years 1938-1947), Karsh demonstrated that the “New Historians” constructed a false narrative depicting Jewish leaders as promoting the forced transfer of the Arab population. Gelvin ignores the work done by Karsh and others. A second and related weakness in Gelvin’s book is his sparse and inconsistent use of footnotes. 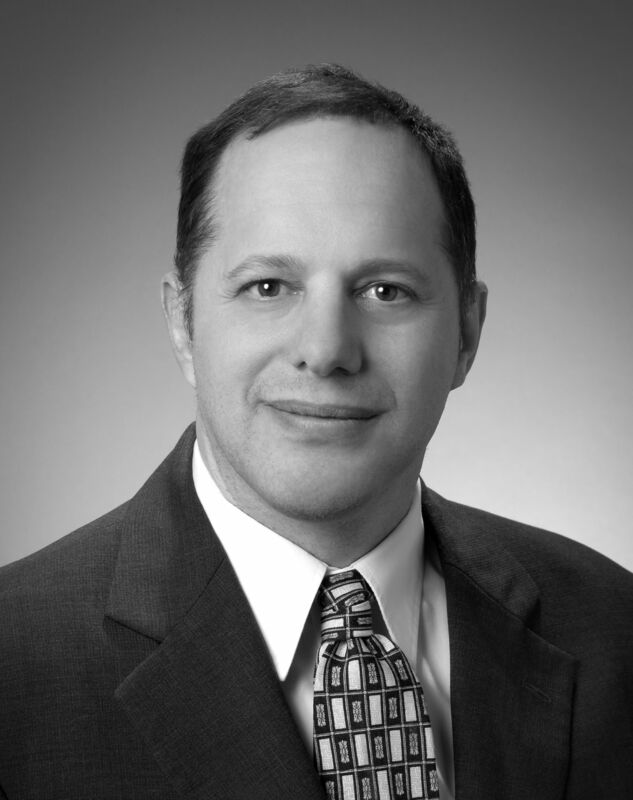 He makes numerous bold assertions and offers controversial interpretations of events without indicating the sources of his information or providing necessary context. His charge that “the Israeli government took over approximately 94 percent of the property abandoned by Palestinians who fled and distributed it to Jewish Israelis”10 lacks context or a source. The context Gelvin omits is that over a million displaced Jews flooded into Israel from Europe and the surrounding Arab states creating a desperate need for housing. Gelvin does not ask if it is reasonable to expect the Israeli government to let abandoned property sit idle for years, decades, or longer, until the conflict is resolved. Gelvin also does not inform readers that in many cases the Arabs had a choice to make concerning the disposition of their abandoned property; they could have recognized the sovereignty of the state of Israel within its internationally recognized boundaries and agreed to pay taxes on the property to the new state. Feigning an even-handedness, Gelvin explains that “like the Zionist myth, the Palestinian national myth contains its own share of elisions and historically doubtful assertions.”11 But chapter after chapter, the book belies objectivity or balance. He injects, for example, that “Zionist historians of an earlier generation found comfort in the [Crusader] kingdom’s longevity,”12 voicing a theme favored by the Arabs linking Israel to the Crusaders. It does not reflect the mainstream Zionist view that sees the Jews as exiles permanently returning to rebuild their homeland. But, in fact, Jews do not recall “Palestine” or lament exile from “Palestine.” They recall Israel and Judea — and Jerusalem. The name “Palestine” is derived from the Philistines, a Greek people who inhabited the coast and fought against the Israelites. They disappeared after their conquest by the Babylonians in the seventh century B.C.E. The Romans later imposed the name “Palestine” after Jewish rebellion against Roman rule in 66 C.E. and 132 C.E. to erase the Jewish connection to the land. Arab adoption of the name Palestine is a 20th century phenomenon in response to Zionism. The diminution of Jewish historical claims is further exemplified by Gelvin’s description of Hebron. He locates the ancient Jewish capital “in an area that most observers call, ‘the occupied West Bank’ but the Israelis officially designate ‘Judea and Samaria’ after the territory’s biblical names.”15 The implication is that Israel’s use of “Judea and Samaria” contravenes neutral world opinion. Gelvin does not explain that the term ‘West Bank’ is derived from Jordan’s illegal seizure of territory in the 1948-9 war to distinguish it from the east bank of the Jordan river where Jordan lies. Gelvin also cherry-picks among archaeological accounts to cast doubt on Jewish national symbols. 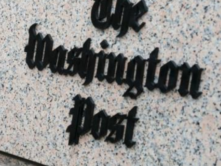 He labels the story of Masada a hoax, quoting a description of it, “[as] an elaborate and persuasive stage scenery for a modern passion play of national rebirth.”16 He portrays the Zealots as criminals and casts doubt on the “Jewishness” of the site. Erasing the Jewish past in the land and denying the extensive archaeological evidence of this past is a staple of contemporary Palestinian propaganda. Gelvin paints a portrait of a flourishing pre-Israel Palestine overturned by Jewish settlers from Europe. 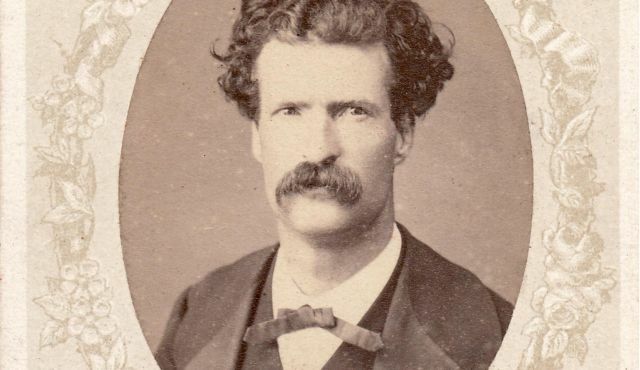 In order to refute the observations of travelers to Palestine during the 19th and early 20th centuries, like the author Mark Twain, who found a desolate and abandoned land, Gelvin claims that “The forsaken state of these satellite villages created an impression of Palestine among Western visitors and Zionist settlers far removed from reality.”17 He dismisses Twain as uninformed and admonishes him and “early Zionists” for their failure to “comprehend that the seemingly abandoned and ramshackle villages on the [coastal] plain indicated an increase in security and prosperity, not an absence of habitation.”18 Gelvin exaggerates the extent of Arab development, obscuring the reality that much of the land had fallen into disrepair, its population reduced to warring clans. Economic growth resulting from Jewish settlement spurred Arab migration into the Mandate. 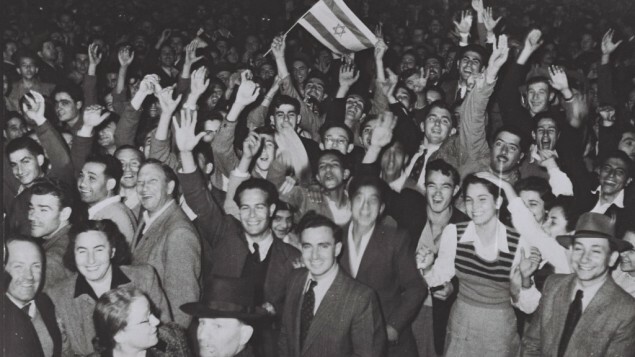 Many Arabs residing in the Palestine Mandate in 1947 were recent arrivals, lured by employment opportunities in the expanding Jewish economy that needed laborers. Fred Gottheil, Joan Peters and Karsh document how Arab population growth concentrated near Jewish areas of settlement. Gottheil contrasts increasing Arab numbers around Jewish-settled areas with the concurrent outflow of population occurring in adjacent states like Syria.21 Karsh quotes the British Peel commission’s statement in 1937 that “the general beneficent effect of Jewish immigration on Arab welfare is illustrated by the fact that the Arab increase in population is most marked in the urban areas affected by Jewish development.”22 Gelvin ignores the detailed analyses produced by these authors. Significant gaps in Gelvin’s account appear in his handling of the animosity between Arabs and Jews. His failure to adequately disclose the role played by Haj Amin al-Husseini, the Mufti of Jerusalem, in inciting violence and hardening Arab attitudes toward the Jews is symptomatic of his general avoidance of the religious and ideological component of Arab rejection of Israel. In fact, Karsh and others trace the outbreak of the revolt to April 1936 to the murder of 9 Jews in Jaffa. But Gelvin misses the mark in a more fundamental way. 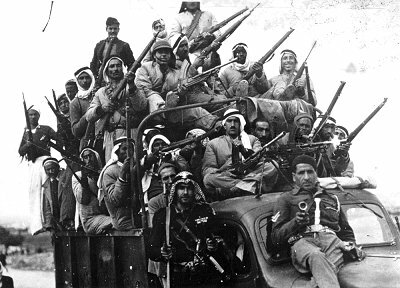 The Arab revolt was as much about an internecine struggle for power between different Arab factions as it was about Jewish immigration or British control. Karsh tallies 1,112 Arabs murdered in inter-Arab violence as opposed to 429 Jews and 151 British soldiers.28 Through the murder and intimidation of his opponents, by the late 1930s al-Husseini had consolidated his preeminence in Palestinian Arab politics. The Mufti invoked religious supremacism along with pseudo-scientific and conspiratorial anti-Semitic themes popular in Europe. The religious-ideological component is crucial to understanding the transformation of the Arab-Israeli conflict in the 1930s. But because he ignores the ideological dimension of Arab rejection of Israel, Gelvin can offer only limited insight into the inter-Arab political struggle that culminated in the adoption of the most extreme positions. Contrary to Gelvin’s assertion, it was not just the opponents of Palestinian nationalism who associated the Mufti with the Nazi program; the Allies classified the Mufti as a major war criminal and intended to try him at Nuremberg before his ‘escape’ from French confinement. Serbian author Jennie Lebel documented the assistance the Mufti provided to the Nazis in their terror campaign in the Balkans. 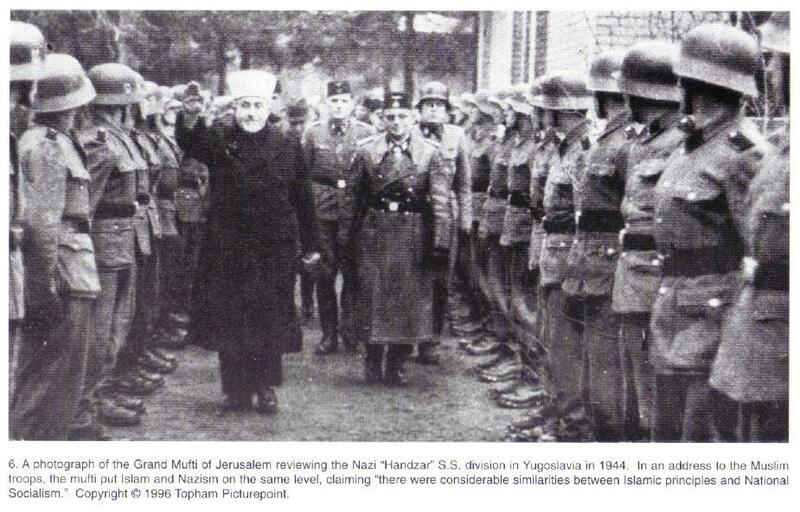 He helped recruit two Muslim SS divisions, including the notorious Handzar division, which committed atrocities against Serbs.30 The Mufti lobbied the Germans to expand the scope of their killing operations to the Jews in the Middle East. It is easy to understand why Gelvin does not delve into the Mufti’s collusion with the Nazis; full disclosure would raise considerable doubts over his assertion that the confict is just about real estate. While downplaying Arab extremism and terrorism, Gelvin emphasizes examples of Jewish extremism and violence. He portrays the group the British authorities called the Stern Gang (their Hebrew acronym was LEHI, “Fighters for the Freedom of Israel”) as eager to make a deal with Hitler. Gelvin writes, “The Stern Gang sought to persuade Hitler’s government that sending Jews to Palestine would accomplish the Fuhrer’s goals of rendering Europe judenrein.”31 Shorn from the context of the on-going slaughter occuring in Europe and the desperate schemes concocted by Jewish groups of varied political persuasions to rescue Jews, his insertion of this topic amounts to cruel taunting. re anti-Zionist revisionists like Avi Shlaim and Ze’ev Sternhell. Karsh and his refutation of the “New Historians” are missing. Gelvin repeats the face-saving excuse given by the Arabs for their military defeat, claiming that the Jews fielded a larger army. In reality, the mobilization of a substantial portion of the Jewish population does not directly compare to the professional armies fielded by the Arab states that were drawn from a far larger population base. Nor does it account for the overwhelming advantage these Arab armies possessed in artillery, tanks and aircraft. In the chapters of the book dealing with more recent events, omissions and bias are increasingly evident. Gelvin ignores the rampant anti-Jewish rhetoric of the Palestinian Authority and Hamas. 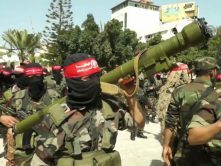 In eight pages of discussion of Hamas he fails to mention the passages in the Islamist organization’s charter alleging a worldwide Jewish conspiracy responsible for both World Wars or the unambiguous exhortation to kill Jews (see the last paragraph of Article 7 of the Hamas Charter). 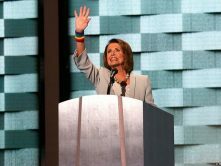 He is also silent about the Palestinian Authority’s adulation of terrorists and habit of naming street squares, summer camps and girl-scout troops after terrorists who murdered Israeli civilians. In fact, Palestinian Arab terrorism is a topic about which Gelvin has little to say. 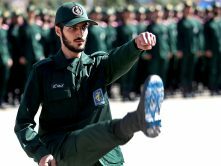 He describes the cross-border attack by Hezbollah into Israeli in 2006 as a “daring raid” and later commends the terrorist militia for its “savvy resistance.” 53 His choice of words describing Hezbollah terrorism is noticeably more adulatory than how he describes the violent activities of Jewish militants in pre-state Palestine. Gelvin writes of Israel’s “assassination policy against Palestinian leaders” 54 without clarifying that Israel targets senior figures involved in planning and instigating terrorist acts, but avoids targeting Palestinian political leaders not intimately involved in terrorism. Gelvin repeats a U.N. envoy’s charge that the destruction of portions of Jenin were “horrific beyond belief” but fails to add that the inflammatory charge – that soldiers had carried out a massacre – was refuted by a U.N. investigation which found that of the 52 Palestinians who died in the Israeli incursion, at least half [and as many as 46] were combatants. The area of destruction in Jenin was confined to a city block and 23 Israeli soldiers died (by far the highest casualty toll of any Israeli incursion into a Palestinian town) precisely because the Israelis decided not to bombard the area in order to avoid civilian casualties. At the conclusion of each chapter, Gelvin includes a list of sources under “Suggestions for further readings.” Many of the authors he recommends are strident, anti-Israel polemicists. Students are not directed to the works of distinguished historians like Michael Curtis, Arieh Avneri and Efraim Karsh whose archival research has illuminated the founding of the modern state of Israel and the response of the Palestinian Arabs. Gelvin describes his book as interpretive history implying that this relieves him of the responsibility for presenting a complete and balanced historical account. But even interpretive history must be factually accurate and provide credible sources for controversial contentions. It is incumbent upon serious scholars to acknowledge and debate with other scholars who disagree with the author’s positions. His failure to acknowledge those works that refute the “New Historians” reflects negatively on his diligence. Gelvin’s book will undoubtedly find its way to many classrooms unaccompanied by any objective account. The colonialist narrative that he champions is a misrepresentation of the historical record and falls apart under serious scrutiny. Instructors should be aware before assigning such a work that other historical accounts would far better serve students seeking a full, factual and scholarly portrayal of events. Gelvin references the original Mandate that included Transjordan, but in several places in the book he emphasizes the above statement as valid. In fact, Israel incorporates 23 percent of the Palestine Mandate defined in the Balfour Declaration. There are numerous territories of similar size more densely populated than the Gaza Strip, including the autonomous state of Singapore. Furthermore, many cities encompassing similar land area have denser populations than the Gaza Strip, including portions of Israel’s coastal strip. Gelvin provides no evidence to backup his assertion of an organized campaign. • Page 123: He writes, “Future prime minister of Israel Menachem Begin executed the attack” on the King David Hotel. Gelvin leaves out important details. The target was not a civilian one, but rather the site of the British military command and criminal investigation division. The bombers issued three warnings to enable evacuation — to the hotel, to the French Consulate and to the Palestine Post. Years later, the British admitted that a warning call was received but ignored. • Pages 124-126: Gelvin’s lengthy discussion of UN resolution for partition of Palestine fails to clarify the salient fact that the Arabs too were offered a state and rejected it. This is not an Israeli interpretation, it is accepted in international law. • Page 185: Gelvin presents the economic transformation of the West Bank and Gaza as only benefitting Israel. He claims these territories served as a “captive market” for Israeli goods, flooding Palestinian markets with Israeli agriculture, while driving Palestinians into unskilled labor away from agriculture. This characterization distorts reality. Economic data from the Palestinian Central Bureau of Statistics, the International Monetary Fund and the World Bank all demonstrate significant increases in GNP and per capita income, along with dramatic improvements in living standards, in both the West Bank and Gaza from 1967 onward. This is a frequently repeated canard that misrepresents reality. Israel has primary water rights in the aquifers due to their location and shares water with the West Bank beyond the requirements of Israeli-Palestinian agreements. In fact, Israeli settlements on land captured in 1967 have not been obtained by expelling the Arab population. Settlements have been built almost entirely on uninhabited state land. In fact, the American position has been that the settlements were legal. Only briefly during the Carter administration were settlements deemed illegal. Reagan restored the pre-Carter American position. That is also false as demonstrated in the wording of UN Security Council Resolution 242, along with the League of Nations Palestine Mandate, Article 6 which is incorporated in the U.N. Charter Article 80. • Page 253: He describes an Israeli artillery barrage that killed eight Palestinian members of a familly on a Gaza beach in 2006. A subsequent investigation determined that Hamas ordinance was the likely cause of the explosion. 30 Lebel, The Mufti of Jerusalem: Haj-Amin el-Husseini and National-Socialism. The author, a Serbian historian, writes extensively about the Mufti’s involvement in raising Muslim SS divisions. 46Karsh, Palestine Betrayed, see pages 230-243. 48 Karsh, Fabricating Israeli History, see pages 69-107.